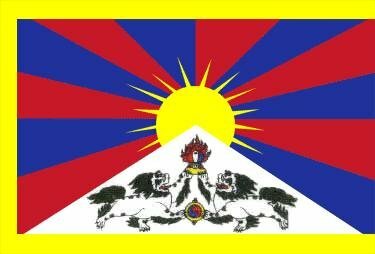 As part of the “Solidarity with Tibet” campaign launched last year (2012), a six-member delegation of members of the Tibetan parliament has spent the last week campaigning in Goa. A south zone Tibetan parliamentary delegation has called on the Deputy Chief Minister of Goa on Sunday [01 September 2013] as a part of the “Solidarity with Tibet” campaign that started last year. The six-member delegation apprised Mr Francisco D’Souza, Deputy Chief Minister of Goa of the worsening situation inside Tibet and the series of self-immolation protests by Tibetans since 2009, while urging the Indian government and its people to raise the issue of Tibet at various governmental and non-governmental platforms. Lobsang Yeshi, Tibetan MP and member of the delegation, told Phayul that D’Souza expressed his “solidarity” with the Tibetan people and assured that Tibet would achieve its goal soon. “There is no greater human rights violation in the world than in Tibet and the world is not doing justice to the Tibetans,” D’Souza was quoted as saying. The South Zone Tibetan Parliamentary Delegation comprising of members of the Tibetan parliament, Mr. Gyari Bhutuk, Ms. Tsering Youdon, Ms. Bhumo Tsering, Ven. Atruk Tseten, Mr. Jigme Jungney and Mr. Lobsang Yeshi, also met with Shripad Y. Naik, former Union Minister and a member of Indian Parliament. During its week-long campaign in Goa, the Tibetan MPs also met with Lord Mehgnad Desai, media personalities, Tibet supporters and the Tibetan public residing in Kalangute and Vasco area. The Tibetan Parliament-in-Exile initiated the lobbying campaign as part of the exile Tibetan administration’s attempt at garnering wider support for international intervention in the ongoing crisis inside Tibet. The Tibetan parliament will meet fro [sic] its winter session from September 18, 2013.